It will most likely be from an IPO 500 Version 2 Processor part # 700500985 46YPW0002UKAB. Avaya IP Office 3rd Party Office IP Endpoint 50 174960 275615. See below Avaya IP Office 500 Add 2 T1 PRI Channels 215180 275639. Avaya Part # 700432529 or 700459498. Avaya Original Part. Call us for details. A. Power Cord. New Other " condition. Everything pictured and listed here. 1120E 1140E 1150E 1165E 1210 1220 1230 i2007. - Required when not in-line power over ethernet. Removed From an Avaya BCM 450. FSP Group FSP300-60PLN. Avaya 1151C1 Features. Also required with the Avaya BM12 Button Module when used with the Avaya 9508 phone and the Avaya DBM32 Button Module when used with the Avaya 1416 phone. 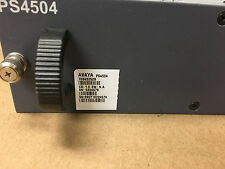 Avaya 4606, 4612, 4624. New and still inside of its original box. See pictures for more details. We can then adjust your invoice before checkout. Physical Condition:New, open box. Working Condition:NEW, working properly. Tested for Full Functions, R2/Ready for Reuse . Avaya 4690 IP Conference Station 2301-06682-601 w/ Power & Mic Pods. Power Interface Module with cables. Tested and works great. Compatible with IP 4600, IP 5600, Definity 8434dx, Definity 8411d Avaya Phones. We do not include User Guides or Manuals with any of our equipemnt; it is our belief that a vast majority of this information can be quickly located online without the use of paper. If you’re dealing with mission critical circumstances inquire about the item's history. Working when pulled out of service, tested in our in-house switch. -- out of service working. Part # 644A1. DC In: -48V 8A. Rated Total Output: 300 Watt. Buffalo, NY. Condition: New in Original Box. Do you have an old non-working processor?. Call us at at your convenience. The Shielded Cat 5 cables will be new and may vary in length. 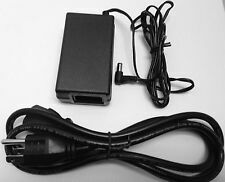 Power supplies may not be as pictured but are tested working and may be used or new. USED IN GOOD WORKING CONDITION.